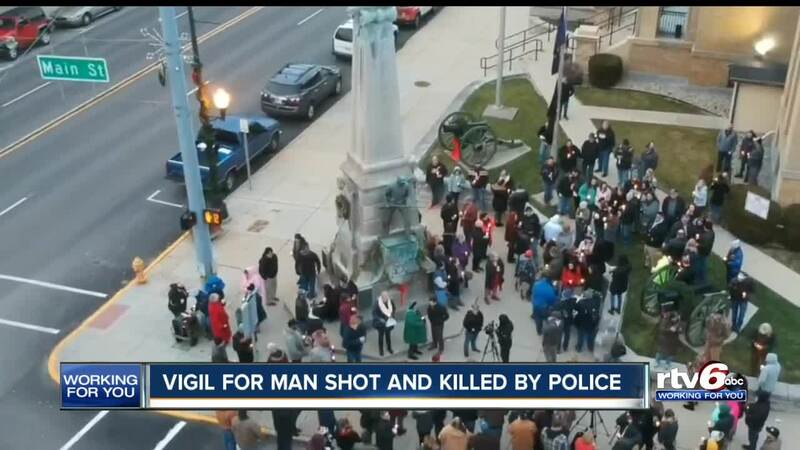 CRAWFORDSVILLE — Multiple updates have come to light just a few days after the officer involved shooting that resulted in the death of a Linden man on Dec. 28. The Indiana State Police have released that officer Daniel Organ was the trooper that shot Glenn Rightsell . Organ has been a member of the state police since October of 2017. The state police investigation into the shooting remains ongoing. The agency will file a report with the Montgomery County Prosecutor's Office to determine if any charges are warranted. Meanwhile, family and community members are wanting answers as to why the trooper who shot the 56-year-old did not have a dash camera . Even more community members are wondering why Indiana State Troopers aren't equipped with body cameras in general. In a statement released by the Indiana State Police on Jan. 2, the ISP states that extensive and thorough interviews of all officers and civilians involved will be conducted. As well, an internal peer review is conducted by detectives not involved in the inital investigation.